The Palace of Westminster in London. All Northwestern students in London during spring break were confirmed safe after an attack Wednesday left five dead. Northwestern students and faculty spending Spring Break in London said they felt safe and that University officials did not alter their trips in response to the Westminster terror attack that left five people dead last week. Last Wednesday, Khalid Masood, a 52-year-old British man, drove an SUV from Westminster Bridge into a crowd, injuring pedestrians and killing three people. He then exited the car and fatally stabbed a police officer outside Parliament. According to the New York Times, police said the attack was “inspired by international terrorism.” The attack left about 40 people injured and five people dead, including the armed assailant. 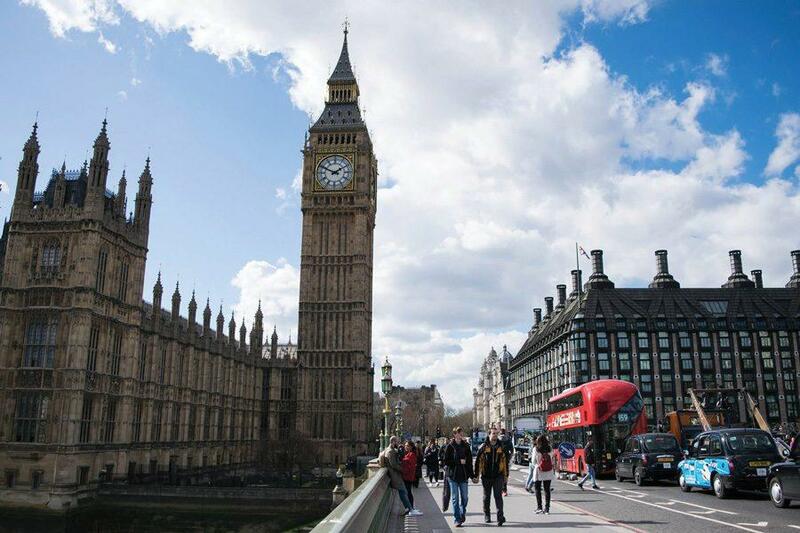 None of the NU undergraduates participating in Spring Break programs or studying abroad in London were near the affected area at the time, said Julie Friend, director of the Office of Global Safety and Security. At the time of the incident, NU had three University-sponsored groups in London, hosted by the Medill School of Journalism, the School of Communication and Global Health, Friend told The Daily last week. Medill Prof. Karen Springen, who led the Medill group, said her students were visiting Shakespeare’s hometown, Stratford-upon-Avon, at the time of the attack. However, many of them received news notifications about the attack and quickly notified NU administrators and their families that they were safe, she said. The School of Communication group was on its way to a media company when it heard the news, said Stephanie Uriostegui, a Communication sophomore who was on the trip. Uriostegui said she did not know the severity of the attack until she heard a news report in her hotel later that day. Springen said students were told to avoid the area near Westminster Bridge while investigations were taking place. Travel plans were not altered significantly and students were able to continue with their scheduled programming throughout the trip, she said. “Parliament is apparently carrying on, and we’re carrying on,” she said last week while still in England. Back in Evanston, Friend said she watched the news for updates and assisted in checking with the travel leaders and students studying in London. The Office of Global Safety and Security monitors the news whenever students are abroad, and especially after an attack, she said. Friend added she “wasn’t terribly worried” when she first saw news of the attack because she had the groups’ itineraries, and knew none were scheduled to be in the Westminster area. However, Friend said it was an essential part of the office’s protocol to check in with all of the groups. Friend’s office also works to prepare trip leaders before they leave. Before departure, leaders are required to complete a training program in health and wellness, and risk management to prepare for emergency situations, Friend said. Following the attack, trip leaders were given recommendations about how to stay safe and were reminded of ways to arrange for counseling if any student requested it, she said. Springen said she felt administrators were “very involved” throughout the process and that the attack did not impact their trip significantly. “I certainly feel like we have a lot of support back at home in Evanston, and I think the students feel that way, too,” Springen said.